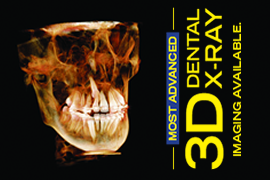 We now have the most advanced 3D digital x-ray equipment available to dental professionals. The i-CAT FLX made by Imaging Sciences allows visualization of our patients' teeth and bone structure like never before possible. The i-CAT is a cone beam CT (CAT scan) machine that creates a 3D image that can be manipulated in many ways. This helps us more thoroughly diagnose and treat each patient. You will be amazed by this technology! 3D imaging in dentistry is rather new. 2D X-rays radiographs were discovered by a dentist over 100 years ago. But it is only now that the technological advances and fast video processing have allowed 3D imaging to be adopted by the dental field. This most certainly will allow better orthodontic and surgical care. We can now see the 3D relationships of teeth roots, un-erupted teeth, nerve canals, etc. from any angle. Because a child's adult teeth can be visualized before they come in (erupt) we are aware of the spacing/crowding issues earlier allowing us better treatment options. Also, there is no distortion of the images as can occur with conventional 2D x-rays. Measurements can be made within the i-CAT software to an accuracy of about a tenth of a millimeter. Exact position of impacted teeth is not a mystery anymore. Impacted teeth, such as canines and wisdom teeth and their proximity to other roots and critical nerves are not left to a "best guess" approach like with conventional 2D imaging. Pathology is also easier to see and address. So why not start your treatment in treatment in 3D? Currently, Dr. Wirant is the only orthodontist in the area to offer this state of the art 3D imaging to his patients. 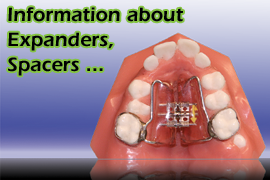 We can make a copy of your 3D x-ray on CD for you and your dentist's records. Your dentist or oral surgeon can view the DICOM file on his/her own computer. 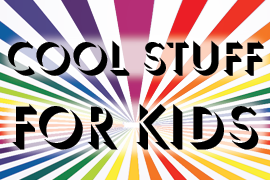 A 3D movie can be included! Please see the videos below to get a glimpse of this amazing technology. Rest assured that we understand our patients' concerns regarding radiation dose exposure and safety. The i-CAT FLX is the most advanced CBCT x-ray machine on the market and a 3D image can be taken at a lower overall dose than the best digital 2D panoramic machine on the market. This is important during orthodontic treatment when x-ray updates may be required over the course of two years of treatment to check progress. Please see our chart on this page for a comparison of our i-CAT image radiation exposure vs. other radiation sources of exposure. We follow the ALARA (as low as (is) reasonably achievable) when it comes to using diagnostic x-rays. AAO/AAOMR guidelines on this topic have been reviewed and recommendations by the NCRP (National Council on Radiation Protection) Specificity Report No. 145 (Radiation Protection in Dentistry) have been taken into account and discussed with our trained staff. Final note: There has not been any documentation of someone injured by dental CBCT technology (cone beam computed tomography). Dr. Wirant has and will always continue to limit the radiation dose his patients receive while under care. 40 μSv The radiation you receive by taking a flight from New York to L.A.
We will provide you with a CD copy of your CBCT X-rays at your visit if time permits. With the newest and most advanced 3D imaging available, we can give you the shareware software and your digital scan allowing you to view your 3D image at home. The ICAT FLX is the top Cone Beam CT machine on the market (and it's made locally!). Images produced by this X-ray machine are breathtaking and will allow us to better serve our patients' needs. Copyright © 2003 - John M. Wirant, DMD. All rights reserved.